Lightroom Classic Tutorials > Performance > Lightroom Performance – What Computer Hardware Do I Need? 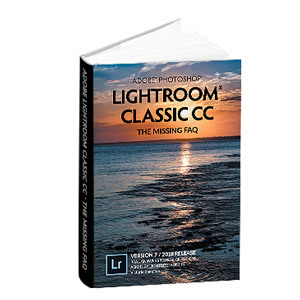 Every single day, I see posts asking how to choose a new computer for Lightroom. We’re not going to go into specific hardware recommendations, because they’d be out of date almost immediately. (If you want specifics, Puget Systems are doing regular testing.) What we will do is talk about which hardware benefits different Lightroom tasks, so you can make your own decisions based on your needs and budget. Adobe publishes system requirements for Lightroom, but we should be clear… these are MINIMUM system requirements. They allow Lightroom to run… well, it’ll walk. If you want to enjoy using Lightroom, you’ll definitely want to exceed these minimum requirements. Your hardware needs depend on how many photos you’re editing each week, the size of the images you’re shooting, the amount of time you have available and let’s be honest, your tolerance for slow computers. There are two primary factors to weigh up when selecting a new CPU: the number of cores on the single CPU (two physical CPU’s don’t help much) and it’s clock speed. Lightroom makes good use of multiple cores for image processing tasks such as building previews, working in the Develop module, and exporting photos, so it’s worth selecting a quad-core processor if possible, even though other areas of the program are only lightly threaded. A high clock speed (measured in GHz) is equally important, as it determines how quickly computations are made, not only for image processing tasks, but also all of the other tasks Lightroom has to perform. The release date of the processor also affects performance. The clock speed isn’t a perfect comparison, because the manufacturers have been working hard on efficiency, so a recent 3.0GHz processor is much faster than a 3.0GHz processor released 10 years ago. So if you can’t trust the clock speed for comparison, how do you figure out which CPU is faster? One easy way to compare is to check the Geekbench scores for both Windows and Mac – you’re looking for the 64-bit Single and Multi-Core scores. Need a rule of thumb? If you’re looking for a new CPU, a recent generation Intel quad-core desktop processor with a fast clock speed is a great choice. For a high end machine focused primarily on editing, a six-core CPU is also a good choice, although they’re a little more expensive and often have a slightly slower clock speed. The operating system, open programs and their data are held in RAM. The more data you’re working with, the more RAM you need. If you don’t have enough RAM, some of the data has to be written to the hard drive, which is much slower. Like most image-editing programs, Lightroom works with large amounts of data, so it needs more RAM than, for example, a word processor. The amount of RAM available affects how many photos can be cached, which can affect image loading time. Some tasks, such as merging panoramas and HDR files, are particularly memory hungry. Although Adobe lists 4GB of RAM minimum, you don’t really want any less than 8GB. 16GB is a much better choice for most users, especially if you’re buying a quad-core processor. If you’re running other programs at the same time, perhaps switching to Photoshop, you may need additional RAM. A tip – if you’re buying a desktop Mac (not a laptop), it’s much cheaper to buy the extra RAM from OWC (US) or Crucial (International) and install it yourself, rather than paying the Apple premium. Minimal computer knowledge needed! The speed of the drive that holds the catalog and previews makes a fairly substantial difference, especially in the Library module and also for startup times. This is where an SSD really helps, and therefore it’s the first thing I’d put on my shopping list. This is an upgrade that can be beneficial on existing systems, as well as new builds. Bear in mind that the catalog and its previews – especially if you’re building 1:1 and/or smart previews – can grow quite large. For example, my 50k catalog is currently 1.6GB, the previews are 70GB and the smart previews take up another 50GB. Next, think about where the images will be stored. The access speed primarily affects the loading speed in the Develop module, although with the Develop pre-caching introduced in Lightroom CC 2015.6 / 6.6, it’s less of an issue than earlier versions. In an ideal world, you’d put the original photos on an incredibly fast drive such as an SSD, but the cost per MB is still quite high. For most users, a 7200rpm internal or fast external drive is adequate for storing photos, but if you need greater speed, a striped RAID is a cost-effective solution. Also, if your photo storage drive is external, think about connection speed. Even the fastest SSD would be horribly slow in a USB1 external enclosure! If you need to use external drives, look for USB3 or Thunderbolt connections if your computer supports them. The photos can be stored on a NAS (network accessed storage), but the connection speed can be painfully slow, so NAS units are better suited to backups. Don’t forget your backup drives. You need a minimum of one backup drive kept onsite, plus some kind of offsite backup, whether that’s an additional drive held at a different location or an online backup such as Crashplan. As an example configuration, you could choose a good-sized SSD for the operating system and Lightroom catalog/previews, and then a second reasonably fast drive to hold the photos (plus additional backup drives, of course). While we’re thinking about hard drives, remember to leave the operating system and Lightroom space to work. Aim to keep at least 20% free space on your boot and catalog hard drives. When deciding on the GPU or graphics card, think about the resolution of the monitor you’ll be using. A standard HD screen (1920×1080) is 2 megapixels (MP), a MacBook Retina Pro 15″ is 5 MP, a 4K display is 8 MP, and a 5K display is a whopping 15 MP. This means that Lightroom has to calculate and display 4 times as many pixels on a 4K display, compared to a standard HD screen, and nearly 8 times as many on a 5K display. This is why Lightroom slows down on big screens! Lightroom can use the GPU in place of the CPU to accelerate Develop rendering on high resolution screens – most notably, 5MP and up (e.g. Retina, 4K and 5K displays). To take advantage of this, you need a mid-range graphics card, with 1-2GB VRAM (ideally 2GB) and Open GL 3.3, released in the last couple of years. It’s also worth checking Adobe’s support page, to see which cards are not supported, due to issues with their drivers. On lower resolution screens (e.g. standard HD), there is usually no benefit to utilizing the GPU, and can actually make Lightroom slower, because it takes time to pass the data from the CPU to the GPU. Using older and under-powered GPU’s can also be slower than leaving it disabled in Lightroom’s preferences. If you’re using integrated graphics, such as the GPU in many laptops, bear in mind that they share the computer’s RAM, so the more RAM, the better. For example, if you’re buying a 13″ MacBook Pro, which isn’t available with a separate graphics card, then it’s definitely worth getting 16GB of RAM, as the graphics card will need a chunk of it. It’s also important to keep the graphics card driver up to date. To do so, check the graphics card manufacturer’s website (Windows) or the App Store (Mac). 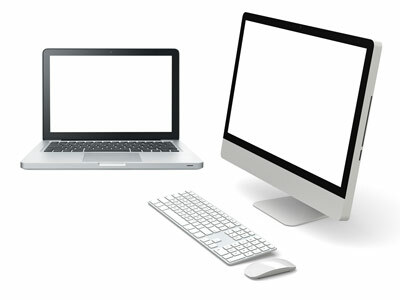 Unless portability is essential, a desktop computer is usually a better choice for Lightroom. There’s only a limited amount of space in a laptop, so everything has to be smaller. This means most laptops have slower mobile CPU’s, less RAM, and are reliant on slower external hard drives for storage. They’re also much more difficult to keep cool due to the lack of space, and when components get hot, they slow down. There are, of course, exceptions: performance laptops are available, but they come at a premium price. The final thing to remember is that all of these hardware components interact. The fastest CPU in the world won’t help if your hard drives can’t transfer the data quickly enough. Having 32GB of RAM won’t help if your CPU is incredibly slow. There are also budgetary considerations to weigh up. If you’re buying a new machine with a limited budget, $400 for a minor clock speed upgrade on a CPU would be better spent on an SSD, or on 16GB of RAM instead of 8GB, because you’ll get a bigger performance boost for the money. If you’re considering upgrading components of your existing computer, think about what specifically is slow. Slow catalog loading and Library updates may benefit from installing an SSD, but the SSD will have less of an impact in the Develop module. Replacing the GPU will only help in the Develop module, and even then, it’ll only help if you’re running a high resolution screen. Also check Resource Monitor (Windows) / Activity Monitor (Mac) to see where you’re hitting your computer’s limits. For example, if you’re running out of RAM and using virtual memory, then adding additional memory may help. Next week, we’ll move on to discussing general system maintenance that can help keep your computer – and therefore Lightroom – running smoothly. A new interface is available for SSDs: M.2 (or U.2 – electrically + protocol the same but different form factor). These allow much faster (approximately 5 times) transfers than SATA, in part due to the bus (it sits directly on 4 PCI Express lanes) and in part due to the protocol that has been optimized for flash based storage (NVMe – Non-Volatile Memory Express). The M.2 and/or U.2 ports are only available on newer motherboards and there are not that many drives yet. But if you build a new computer this is absolutely something to check out. Good to know, thanks for sharing Hugh! It doesnot matter if it is standard sata ssd or m.2 ssd, lightroom has not so many i/o operations, you will not notice difference. I have Intel proc. 6700k running at 4.5 GHz, ddr4 ram 64GB overclocked 50 % to 3200 MHz fast ssd with catalog and previews and standard hdd for raw files, ramdisk 16 GB for all temporary files, and always running task manger to see how different resources are used. LR is not working too much with disks, it is also hard to fuly use cpu. The main bootleneck in my case is communication between cpu and ram, it is not fast enough. Very fast 4 core 8 thread cpu waits for data from extremally fast ram. By the way – originally I had 16GB ram half year ago, then wanted to upgrade to 32 but in the end upgraded to 64GB which it maximum allowed. You may think it will never be used so much memory. But about 2GB takes internal processor gpu. I created 16GB ram disk for windows temporary folder (lr needs up to 12GB for some operations), about 3GB is taken by Windows 8.1. Together 21 GB of used memory and 43GB free ram when starting LR. Do you think it is too much? No, it is not. LR needs lot of ram when creating panoramas. I do it very often and it takes ALL 43GB when computing panorama from for instance 20-50 24Mpixel captures from my D7100. And result is for instance 350 megapixel image. It can take 2-5 minutes of really hard work to create it oon my pc. But only for cpu and ram, not for disks, LR does not touch them very much, only some miliseconds in the beginning and in the end when writing several hundred of MB for result image. So I think that cpu speed, number of cores and ram amount and speed are essential, catalog on ANY even slow one ssd is most important. There is no benefit of having raw files on ssd, any hd is enough. Breta, Thats excellent real world feedback – thank you! So many people use generalizations on “faster cpu, more ram, etc., but with lightroom, there are some specific combinations that just work better. I have 24GB of Ram, catalog on Samsung Pro850 SSD, OpenGL graphics card, an i7 3.4Ghz, and know it’s still way too slow. I’m now looking at building a precise unit geared for Lightroom. Thanks again for your input! Very well written. Congratulation, I like it very much. You are using technical data in such manner, that it is understandable for everyone. A word of caution in purchasing M dot 2 cards. Make sure you buy the right card for your motherboard. The M dot 2 on a ASUS X99 Deluxe II is located on the MB (vertical) and a provided adapter card for the PCIe slot. If you purchase a M.2 SSD card it will not work on that MB or in the adapter that comes with the MB. You must buy a M.2 PCIe card or to be exact the Samsung XP941 PCIe m.2. If you make the mistake I made there is an adapter card that will allow to insert that card which will now become a SSD SATA drive. My old computer did a pretty good job with LR 5.7 but converting videos from one format to another, it’s a little slow. The CPU, Intel i5 was a real work horse at 2.67 GHz and 16GB RAM. But after 5 years it was time to upgrade. Thanks for sharing that tip Edward, and I’m glad you’re pleased with your new build! okay, I have a question! I simply made a small ramdisk, 2 gb, and I put there my catalog in use, it is a wedding. raw files on hdd. and my LR got wings, it’s superfast now! no other thing was changed, and before that, I struggled with reaction time, stepping to te next photo in Develop modul. and even changing for ex. white balance was sooooo slow. my pc is i7 3770, 16 gb ram, ssd and hdds, gpu support is out, due to having “only” full hd monitor! so maybe it’s simply not true, what kind of ssd or sg you use for the catalog! or does ramdisk do something with memory bandwitdh? Re-install LR. Peripherals usually have two speeds, read speed and a write speed. They are not the same in most cases. But what you are describing sounds like a software problem. Re-install LR and see if the problem goes away. 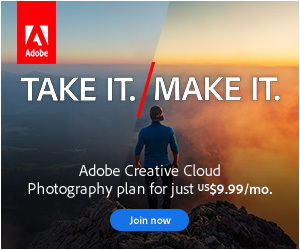 That’s probably the same advice you’ll get from Adobe. Be really careful with your catalog on a ramdisk, because they’re not entirely stable. Stepping to the next photo would usually be dependent on the speed of the drive holding the photos, plus the CPU for processing it. Where was the catalog before you moved it to the ramdisk? Ramdisks should be used only for temporary files! 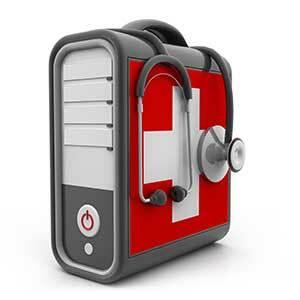 Not for catalog – you may loose it after reboot or when OS crashes. I use it ONLY for Camera Raw Cache in Preferences and for Windows temp folder. In LR it is used for HDR and Panorama temp files, maybe some previews. By the way how big is your catalogue in megabytes? I have 36 000 photos in my catalog and it takes only 500MB, you can rewrite all catalog within 1-2 s on SSD but during updating LR rewrites/appends only part of it, so it is fast. Switching photos in Develop is slow because of reading another raw file and then reading and applying all changes from catalog what takes mostly CPU time. Breta — I don’t know if you’re still following this article, but 1) thanks for posting your detailed specs and 2) what version LR are you running now? There’s a couple threads over on the Adobe feedback forum about serious slowdowns on LR after working in develop for a little while (i.e., first few images fast, then subsequent images get slower, until a restart is required). I’m looking for a hardware build that will work with the latest version, AND will process image 50 as quickly as image 1. Hi Mike, I use version 6.7. This version works relátivelly well for me comparing with previous or latest which are mostly buggy piece of crap. Thanks. I was sort of afraid of that. I need to get 6.10 working, since it supports a new camera body I have my eye on, but I can’t get it to process more than a few images at a time before becoming non-responsive. 6.4 (which is what I’ve been running), has been fine on my hardware. I use LR5.7. I don’t like LR6 ever since Adobe went to the Cloudy format. As for computer requirements – I have used LR5.7 on a self built PC with an i5 CPU running at 2.67GHz, 16RB RAM with no problems. The ASUS X99 motherboards and the 2011v3 i7 CPU with 32GB RAM runs LR5.7 faster but you have to ask yourself, how fast is fast. SSD or PCIe x4 is a good choice if your looking for ‘boot’ speed and data transfer. Remember SSD to SSD, PCIe x4 to SSD or PCIe x4 to PCIe x4 is your best performance (for a cost). I use a SSD M.2 to PCIe x4 adapter as a boot drive and 22TB NAS RAID 5 for storage. The only SATA drives are a 2TB RAID 1 locally in the PC for scratch processing. Any PC sold today with a 2.67GHz CPU or greater and 8GB RAM or greater will run LR5.7 or even LR6 for that matter, adequately. Hi and thanks for the very understandable well-written guide. I got one question when looking at the graph of the transfer rates. Is it safe to conclude that for instance, a 7200rpm HDD performs better when connected via Thunderbolt 3 than it does with Sata-3? Great question Tim. By the time you get to those kind of transfer speeds, a 7200rpm HDD won’t run fast enough to fill the available bandwidth of the slower fast connections, let alone the fastest. To get the benefit of those really fast transfer rates, you also need really fast drives. Hi Richard. I have a 2013 iMac with a 1TB SSD and it’s more than enough for me. I wouldn’t worry about putting the images on the SSD, but the catalog does benefit from being on the SSD. Rather than moving the images to the SSD and back, I’d suggest you render smart previews (which would be stored on the SSD with the catalog) and check the new “use smart previews” checkbox in the Preferences > Performance tab, as that reduces the number of pixels Lightroom needs to load, making it feel faster. Make sure the use graphics processor checkbox is checked too, due to the retina screen. There’s a lot more pixels to calculate on the new 5K screens, which can slow things down. Thanks Richard, I’m sure you’ll enjoy reading. Intel Iris Pro 1536 MB; 16 Gb RAM). Probably disable it, but try it both ways and use your own judgement. I work for a new photography company and I am trying to research what requirements min to max I need to edit a full wedding on a laptop using lightroom. I know its not recommended to use a laptop but certain circumstances leave me no choice. Can anybody help me please. Since it’s for work purposes (and probably a tax write off too! ), I’d look for a quad-core processor, minimum 16GB of RAM, big enough SSD (512-1TB), a GPU with 2GB of VRAM and a decent quality external monitor to hook up whenever possible. If you can find a laptop with an IPS screen, that’d be a bonus, but if you’ll have the external monitor available most of the time, not essential. Can a laptop have the capability to run Lightroom and if so what would the specs need to be to at least be able to edit on the go. And would it be able to edit a full wedding or more so mini shoots? Yes, a laptop can do it. It would be more expensive than the equivalent desktop – or slower than a similarly priced desktop – but it’s possible. I don’t know whether you like Mac or Windows. 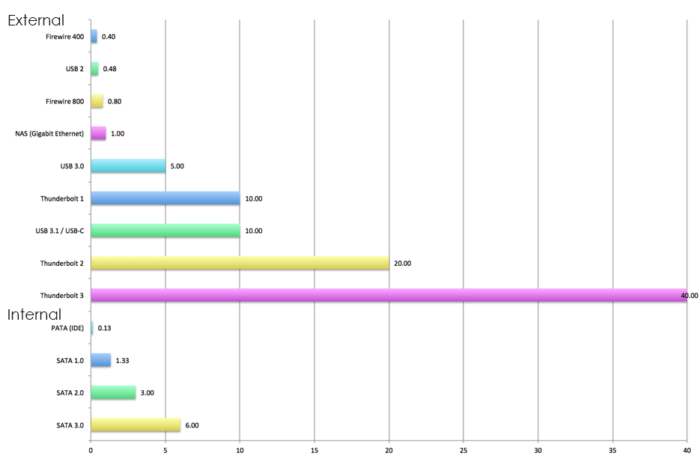 The 15″ MacBook Pro is up to the job, the 13″ would be more questionable as it’s only dual-core. Similarly spec’d Windows ones could also do it. Actual spec depends on how fast you need it to be. Hi all, I’m very new to this. I’m a birder/photographer now using a crappy laptop and Nikon view NXi to edit my photos. I’d like to enter the world of lightroom. I’m looking at laptops but the budget is low. Will this unit work for a beginner and not cause too much frustration? I can’t make any promises, but the specs look pretty good. It’s only a dual core processor, rather than quad core, but if you’re a beginner, but unless you’re sitting there trying to process thousands of photos in a hurry, that probably won’t cause you a problem. In time, you might want to add some extra RAM from a third party like Crucial. Thank you Victoria. I’m sure I’ll be going slow at first. And I really don’t take that many shots compared to a pro. I’ve also found this one for just a bit more. It’s a quad core with a lower base rate. I’ve been reading to try & understand what that means exactly. 🙂 It seems to be, possibly, a small improvement. I just plugged the CPU references into a CPU benchmarking website, and this one comes up quite a lot faster, so if you can get it at a decent price, this one would be my choice. The E15-e5-576g-5762 finally became available but I’m have a tough time choosing between these two. I’d appreciate one more opinion please. The E15 with the i5 8250U quad core is much faster, but by all accounts the screen is poor at best. The E5-575-57D4 with the older, slower i5 7200 dual core has a much better screen, so I’m torn. What would you do? “Producing 79 percent of the sRGB spectrum, the Aspire E 15 (E5-576G-5762)’s color output is similar to that of the 78-percent Swift 3, less than the 82-percent VivoBook S510 and well below the 102-percent category average. By contrast, the Acer E 15 (E5-575-57D4), which is pretty much the same laptop but costs $50 less and uses a 7th Gen Core CPU instead of an 8th Gen, has a screen that can reproduce an impressive 158 percent of the gamut. You don’t want a bright screen for photo editing, because any prints would look really dark by comparison. Screen accuracy is important. That said, you can always hook up a laptop to an external monitor if the colors aren’t accurate enough, but you can’t make it faster. Great article! I’m hoping you and/or some of your readers can help answer a question for me. I build my rig back in 2011 — LONG before I started using Lightroom. I built it with future expansion in mind, make sure that it it had plenty of SATA connections, expansion slots, etc. so that not only would the hardware I chose at the time be sufficient for my needs at the time and hopefully long into the future, but I could upgrade as necessary along the way. Everything was sufficient until I started using LR. Some aspects of LR, like the moving between images in the Develop module, can be painfully slow at time. Rendering previews on a new import pretty much has to be done overnight or when I’m not going to be using my PC for anything for a few hours. I know that a brand new rig would be pretty awesome, but also quite expensive to build it properly with LR as my main goal. So, I’m trying to figure out if I can squeeze any more *cost effective* upgrades into this thing before I finally retire it. Motherboard is Asus M4A88T-V EVO/USB3. CPU socket is AM3, currently running a AMD Black Edition Phenom II X2 555 3.2 GHz Dual-Core processor. I know there are 4-, 6-, and 8-core processors available for this socket and listed as compatible with the board on Asus’ website. How much would a 7 year old system benefit from a CPU upgrade? Other notables specs: 12GB DDR3 1066 RAM. The Resource Monitor does not show memory maxing out, so I don’t see how it would be beneficial to increase RAM capacity, but what about speed? OS and LR are on an SSD, and image files are on a SATA hard drive. I’m using the motherboard’s integrated graphics. I thought about upgrading to a dedicated graphics card, but if I’m reading this article correctly, there would be little to no benefit in doing so. So I’m now focusing on the CPU. Thanks! I didn’t know about the forums. I only found this article through a google search on best CPUs for LR. I’ll give it a go. 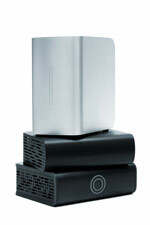 Have you heard any LR performance experiences using the the new Mac Mini? I’m primarily referring to a near top of the line configuration: 6 core i7, 32G RAM. I run a single 2560 x 1440 display. Nothing of note. The specs look pretty good though. I’d consider one myself.